Having been pestered over the last few years to start a newspaper delivery in Wincanton we have decided to get on and start one. We have two delivery people to deliver the papers and magazines so we are already set up, but as yet we have not had enough response to start it off. 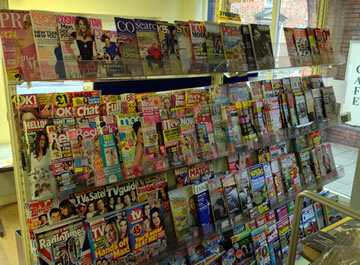 If you know anyone who wants papers and magazines delivered please ask them to get in touch with us at the shop. We are aiming to start deliveries from the 4th February. 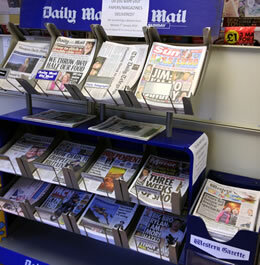 Any specialist papers and magazines can be ordered for delivery along with the Western Gazette, Blackmore Vale and the Visitor Magazine. Of course there will be delivery charges and these will be 35p a day Monday to Friday and 45p a day Saturday and Sunday within Wincanton. Surrounding villages will be charged at 45p per day Monday to Friday and 55p per day Saturday and Sunday. To take advantage of this handy service, please download this pdf form (or this editable Word doc alternative) that you can fill in and bring to the shop, or email it to me at .